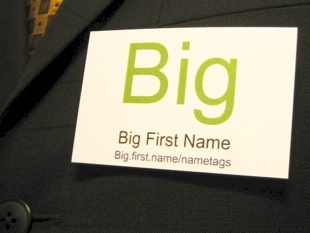 Big.first.name is hassle-free online software for printing awesome nametags and name badges. 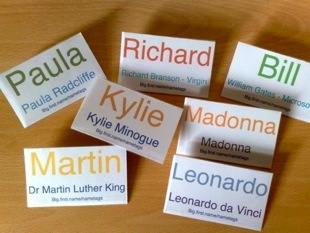 Print name badges that are perfect for conferences, meetups, social or business events, parties and reunions! Sign-up now for a free account and start printing amazingly good looking and easy-to-read name badges using your own printer. 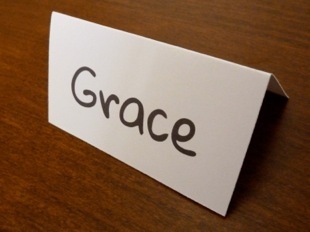 Our name badge template sizes and designs are pre-configured. 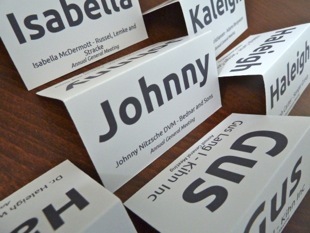 Enter your guest names and details and then start printing your nametags and name badges. Import & upload guest names from plain-text or CSV files. Manage guest lists for each event online. All industry standard Avery Template sizes for nametags, name badges, and labels are supported. Our designs and font sizes automatically scale to fit your template size and guest names for maximum readability. 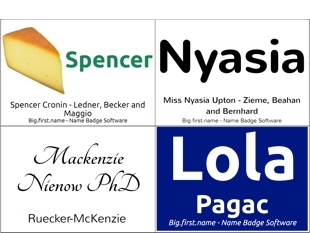 Take a look at some name badge designs (PDF). 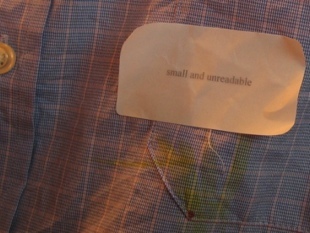 See more example nametags designs and news in Big.first.name/blog. Use QR Codes to embed guest or event information in your nametags and badges. Automatically import names and avatars to create Meetup or Eventbrite name badges. 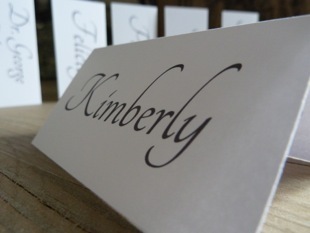 Printing Wedding Place Name Cards and Table Place Name Cards can be really hard, Big.first.name makes it super easy! All our design templates automatically print on both sides of your tent cards . Choose your template design and size, enter your guest names and then starting printing! 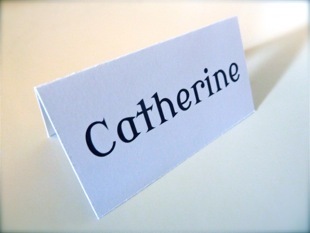 Solve your wedding seating plan problems by printing your own wedding name place cards. 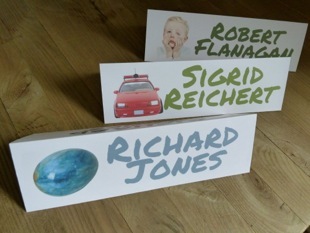 Select from our range place name card designs.